Ubuntu is not an English word. 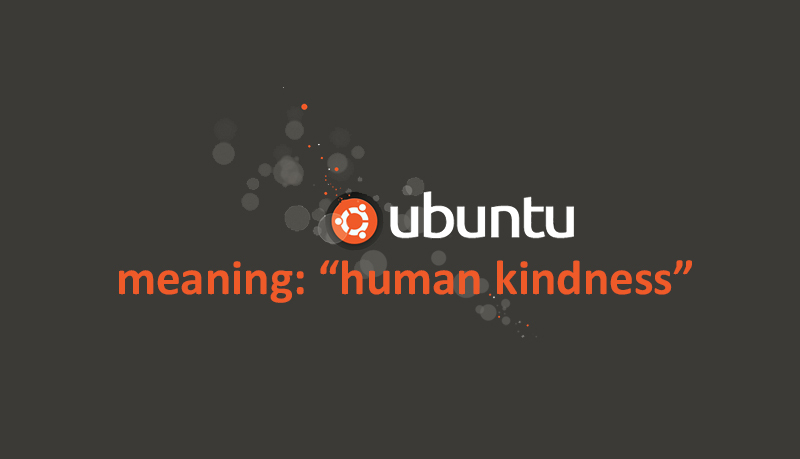 Ubuntu is actually an African word originating out of South Africa, meaning “human kindness”. 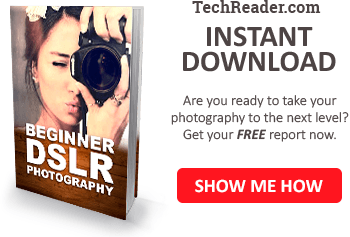 It is understandable why that word was chosen, since the philosophy behind Linux distributions is essentially a free and open operating system for anyone to be able to use. This is as opposed to Windows, and OSX. OSX is actually derived from UNIX, a free and open-source OS which has been around far longer than Microsoft or Apple, but Apple changed OSX to make it the opposite of open – closed and in some cases severely limited despite the fact that there is little proprietary information in OSX since almost the entire base code is “borrowed” from UNIX, a completely free operating system framework. UNIX and Linux are very similar, and it is likely that Linux distributions were originally derived from a UNIX framework. 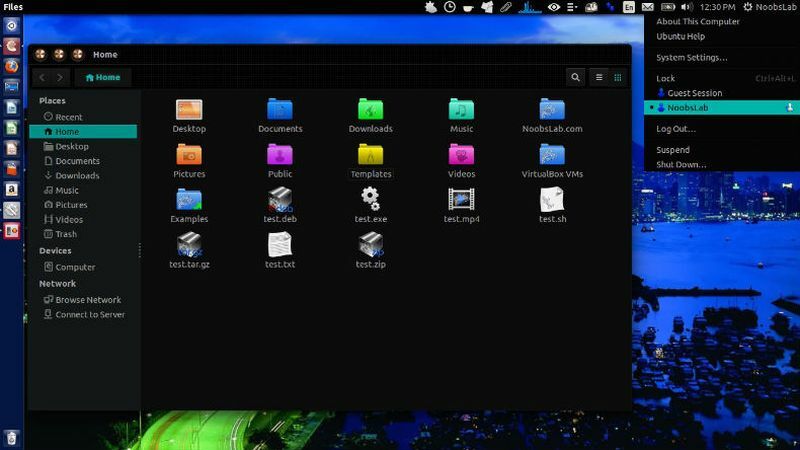 Both are open-source operating systems that are completely free, with the exception of a few modified distributions such as OSX and Zorin OS. Ubuntu, however, is completely free. The problem with UNIX and Linux however has historically been due to a couple of major factors. First, it was often difficult to use for non-technical people, requiring command line programming and compiling of drivers. Second, UNIX and Linux distributions often did not have fully functional drivers for the wide range of computer hardware. 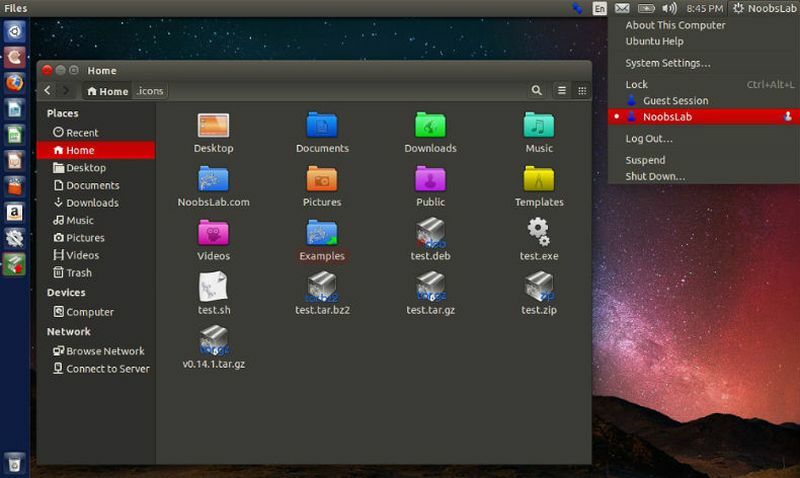 Because of these challenges, and because Ubuntu aimed to make Linux more popular, Ubuntu worked to make a more widely supported user interface, include driver support for as much hardware as possible, and make it as easy as possible for non-technical users to easily install and use Linux. Ubuntu was not alone in this endeavor, however; in recent years most UNIX and Linux-based distributions are widely supported and have come a long way from 10 years ago when I used to spend hours, sometimes days, compiling and installing drivers and software for distributions like FreeBSD and OpenSuse. I even put Linux on my PS3 back in the day, although after getting it working and fully functional I never really used it. Anyway, back to the origins of Ubuntu. Ubuntu as I mentioned is not an English word. Since it is African in origin, the original pronunciation is different and uncommon, since the African language is very different from English. If you have ever heard African, you will notice very distinctive sounds that are clearly African, including lots of “ooh” sounds like the word Zulu, and “clicking” sounds that are unique to many African languages. Understanding this rudimentary difference between English and African can also help you understand why the technically “correct” original pronunciation is different than any well-versed English scholar would expect to phonetically pronounce it. Based on the fact that there are very few words in the English language that start with “ub”, or even “u” followed by any hard consonant (i.e. g, k, etc), it is reasonable to accept that even a very intelligent English professor is likely to pronounce Ubuntu using English phonetics rather than African phonetics, unless they are familiar with the African language or had a grammar-strict computer science teacher. Of these words, most people have probably only heard of “ubiquity” or “ubiquitous”, although they have probably never used it in a sentence in daily speech before. A meta way of saying that is “ubiquitous is not ubiquitous”. Also, of the remaining words beginning with “ub”, almost all of them are derivations of the above words. You might notice a common trend. Every single one of these, and certainly every word beginning in “ub” in the English language, all pronounce the beginning of the word with a hard “u”, sounding like like “you”. 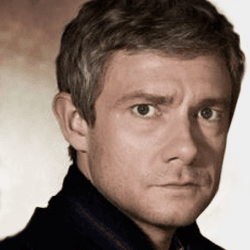 There is of course “uber”, which is a soft “u”, but likewise, “uber” is not an English word. It is German. There is also “ubermensch”, but this again is an unmistakably German word. So every word in English that starts with “ub” has a hard “u” sound. 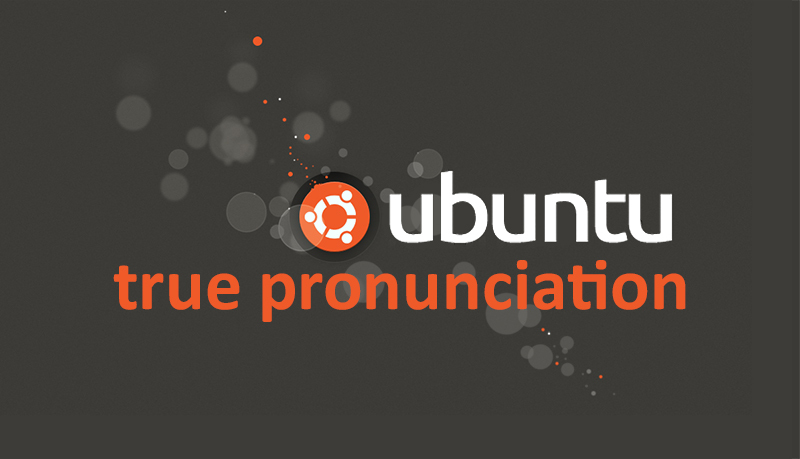 It is therefore not only understandable to pronounce “Ubuntu” with a hard “u” at the beginning, but I would argue that it is in fact completely acceptable. You might have noticed that after reading that list it is difficult to switch gears on the last word; you may have even accidentally pronounced it with a hard “u”. Why do you have to “switch gears” to say it “correctly”? Because starting the word with a hard “u” would be the proper way to say “Ubuntu” if it was an English word. It is no wonder then, that most people would pronounce Ubuntu beginning with a hard “u” sound, since any intelligent person who knows English very well would automatically expect that. However, although from the pure African original pronunciation of the word, this would be technically incorrect, in reality it is actually correct from an English transliteral pronunciation. There is no precedent for a “transliteral pronunciation”, since I just created that phrase, but it is a thing. Basically, it is the idea that you pronounce a word phonetically based on the rules of your native language instead of the rules of the origin language. A similar transliteral pronunciation would be to say the word “burrito”, which is Mexican, without rolling your tongue on the “rr”. Why would you not roll your tongue on the r’s in “burrito” in English? The reason is because “burrito” is spoken one way in Spanish, and another way in English. No one would condemn an American in, say, Oregon, or for that matter, a Canadian, Brit, or Australian, for not rolling their tongue on the r’s in the word “burrito”, even though it is proper to do so if you were in Mexico. The reason is simply because the rules are different in English than in Spanish. Similarly, speaking the word “Ubuntu” in the native pronunciation of Africa is neither required nor proper in English, as long as you pronounce it using the proper rules in English. Therefore, it is perfectly acceptable, even preferred, to pronounce “Ubuntu” like “yoo-bunn-too” in any English-speaking country. However, if you were in Africa, it would only be acceptable to pronounce it in the original African dialect, like “oo-boon-too”. This is the reason why when someone hears the African pronunciation of the word Ubuntu after pronouncing it the American way for years, it sounds so strange, even aversive. As a result, it is false and inaccurate to act high and mighty by pridefully condemning someone who pronounces “Ubuntu” in an intuitive English phonetic pronunciation which is not the same as the original African pronunciation. Because of all of this, I will continue to pronounce Ubuntu the way I always have, the American way based on correct English phonetic sounds, instead of the original African. I will not feel guilty about it, because English is my native language, just like I do not feel guilty about not rolling my tongue on the r’s when I say “burrito”. I do not have to be forced to use another language’s phonetic sounds unless I actually go to Africa. If I ever did visit Africa, then I would definitely pronounce Ubuntu using the original African pronunciation, while in Africa.